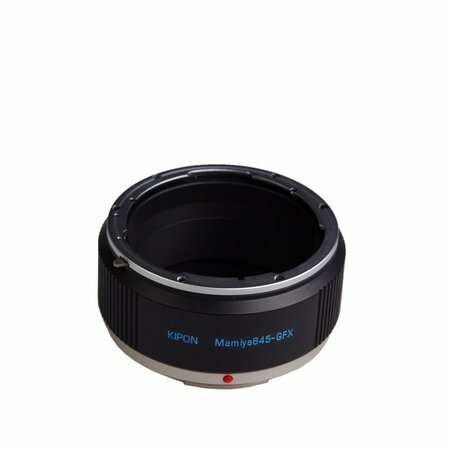 The KIPON M645-GFX M adapter mounts Mamiya 645 series lenses onto Fuji GFX medium format camera bodies. Please note that after mounting the adapter, while infinity focus is available, only manual mode will be accessible in shooting. This adapter is specifically designed to support macro mode. 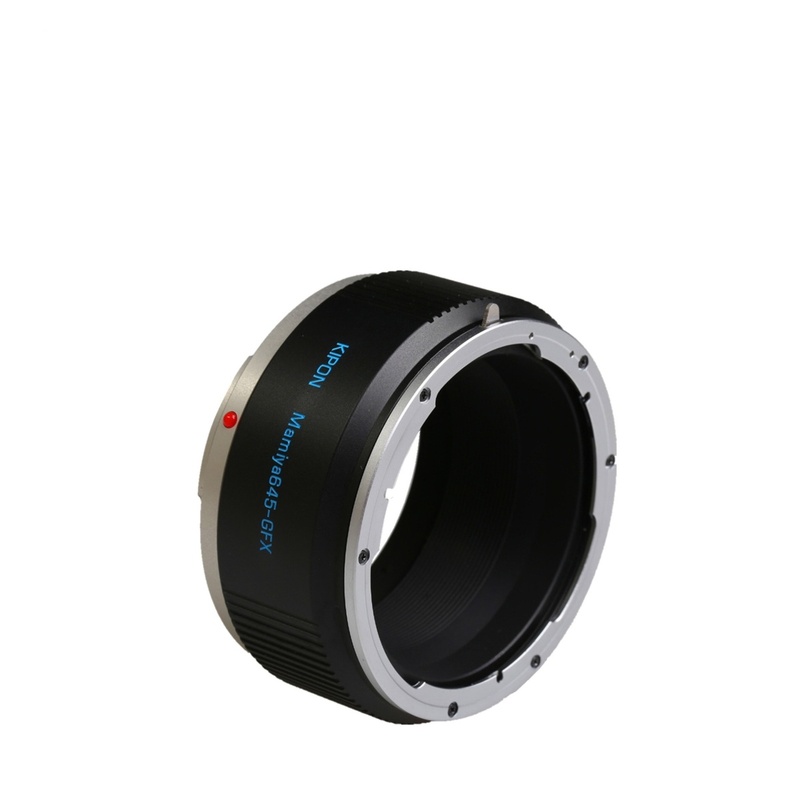 The helicoid can be turned to further focus the lens up to an additional 12mm. Please note that once the helicoid is adjusted out of its original position, infinity focus will no longer be available. When the adapter is in its original position, the infinity focus function will continue to work as usual. There is a inner ring on the adapter which presses against the pin on the lens to allow the lens to control the aperture. Please note that lenses with extra long pins can not be mounted with this adapter.